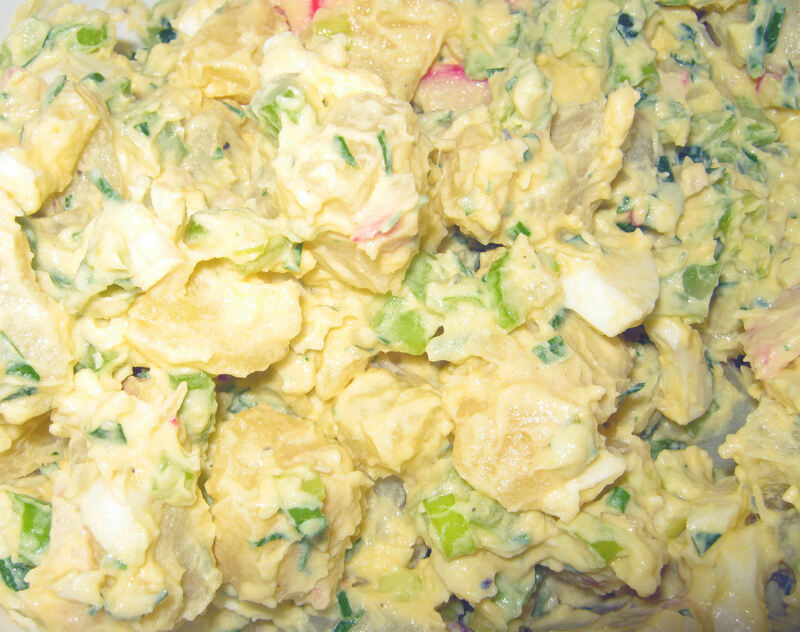 My mom makes the best potato salad I have ever had. Granted, I may be biased because she’s my mom, and because this is the potato salad I grew up with, but I still think it’s the best. She has made it this way for decades, and has inadvertently trained our palates to anticipate this version, stimulating Pavlovian mouthwatering at the mere mention of it. Imagine our shock and disappointment when, a few years ago, she tried some “new” recipe, and had the audacity to serve this “new” version at a family barbecue. We were devastated. We complained. We coughed and choked and whined. We may have even voted her out of the family had she not promised to go back to making the real thing. 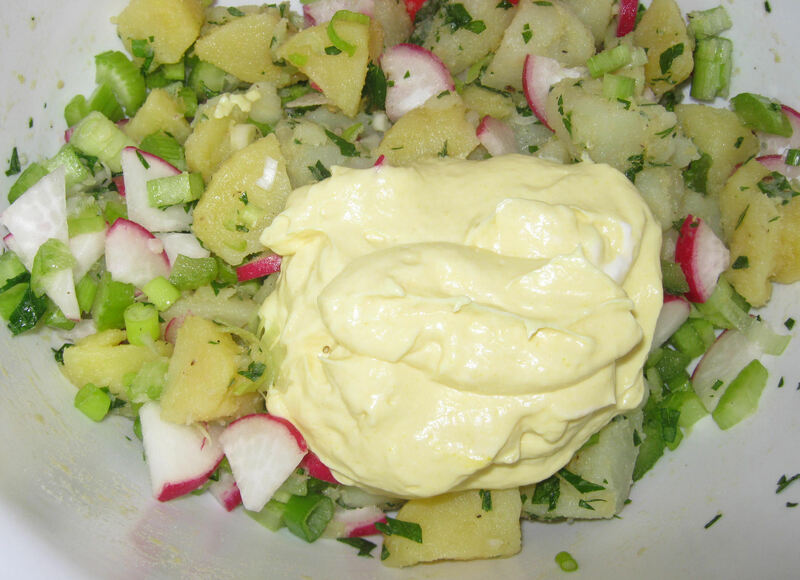 Some things are not meant to be changed, and Mom’s potato salad is one of those things. Note: Mom doesn’t use a strict recipe; she measures in terms of “some,” “glops,” and “squirts.” The measurements below are a rough approximation at what she used when she showed me how to make it. Start with these amounts and adjust to what feels and tastes right to you. 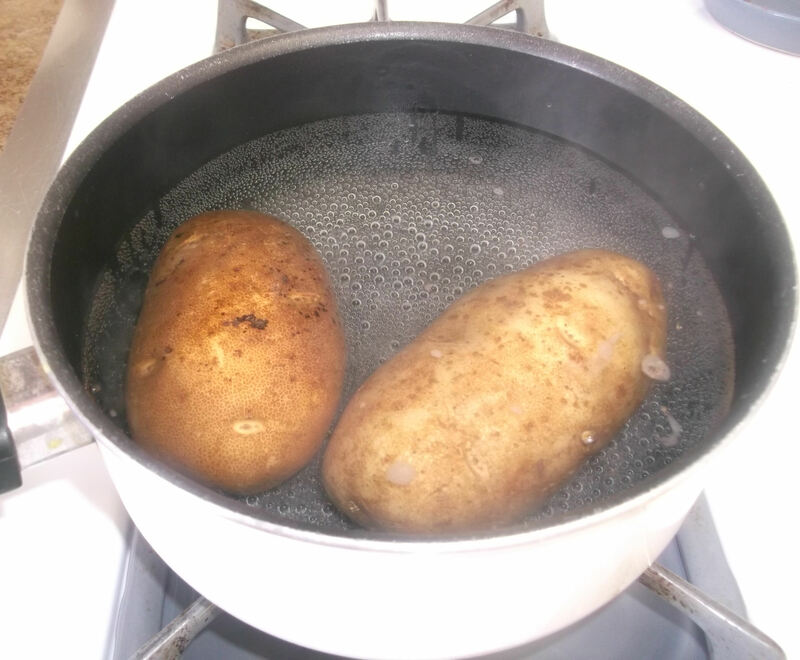 Boil the whole, unpeeled potatoes until soft enough that a fork slides in easily (about 20-25 minutes). Let them cool, then peel and dice into one-inch cubes. Toss the potatoes with olive oil, vinegar/lemon juice, chopped parsley, and a little salt and pepper. Toss to mix well, then spoon out any excess liquid. Let these marinate 15-20 minutes. 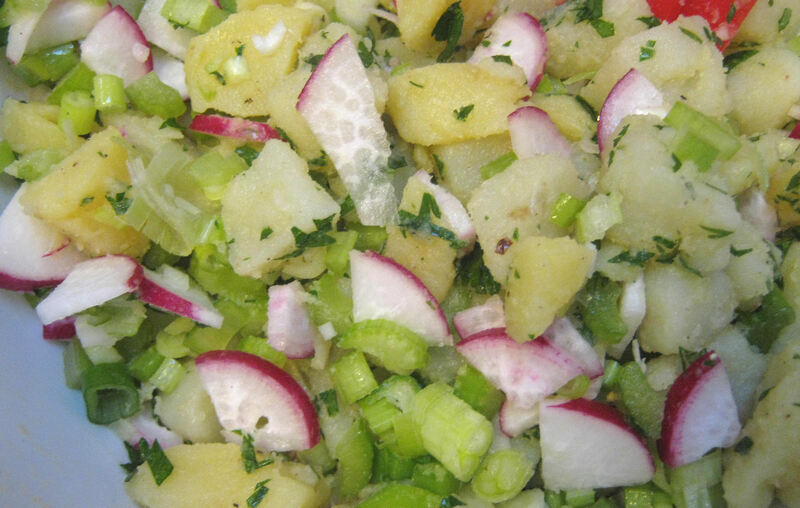 Chop the celery, onions, and radishes and add to the marinated potatoes. Mix gently to combine. 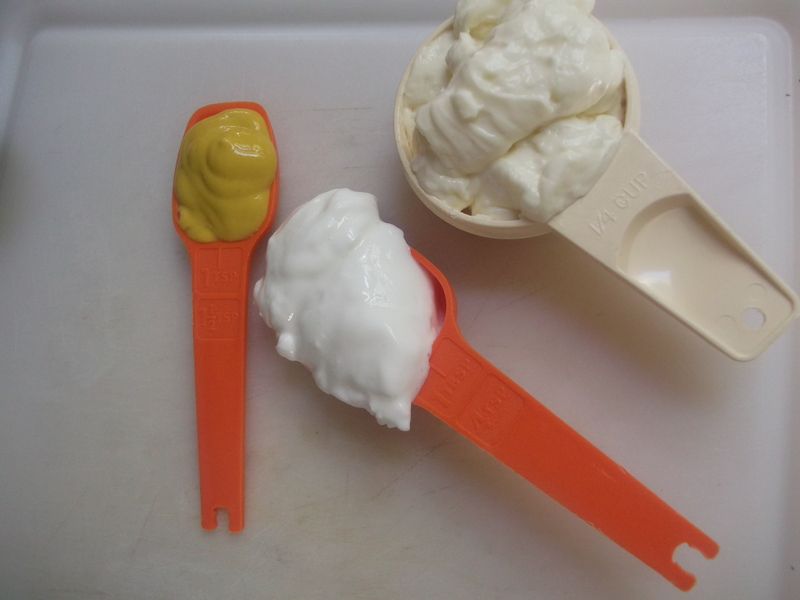 Make the dressing in a separate bowl using 2 glops of mayonnaise and 1 glop of sour cream (glop = monster tablespoon). Add one biq squirt of mustard (squirt = one large teaspoon), the sugar (optional), and some salt and pepper. Mix well, taste, and adjust as needed. 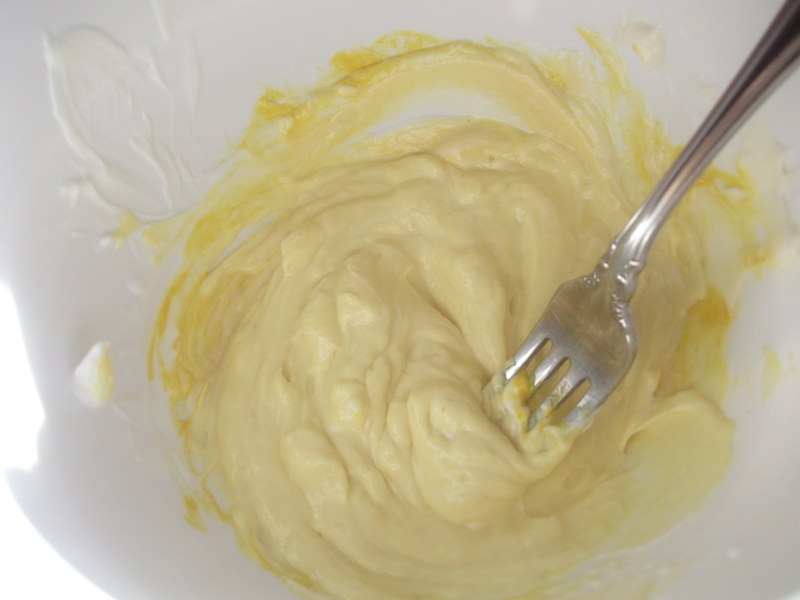 Pour the dressing over the potato mixture and lightly mix with a spatula. Let sit 15-20 minutes. 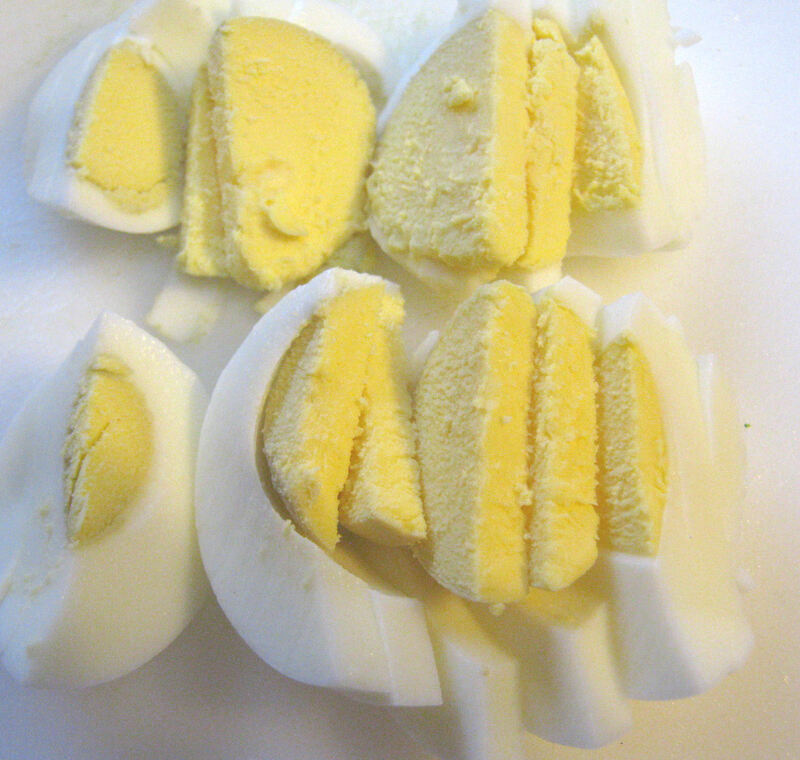 Just before serving, dice the hard-boiled egg and stir them in. Boil the whole, unpeeled potatoes until soft enough that a fork slides in easily (about 20-25 minutes). It tastes best if you do it this way. 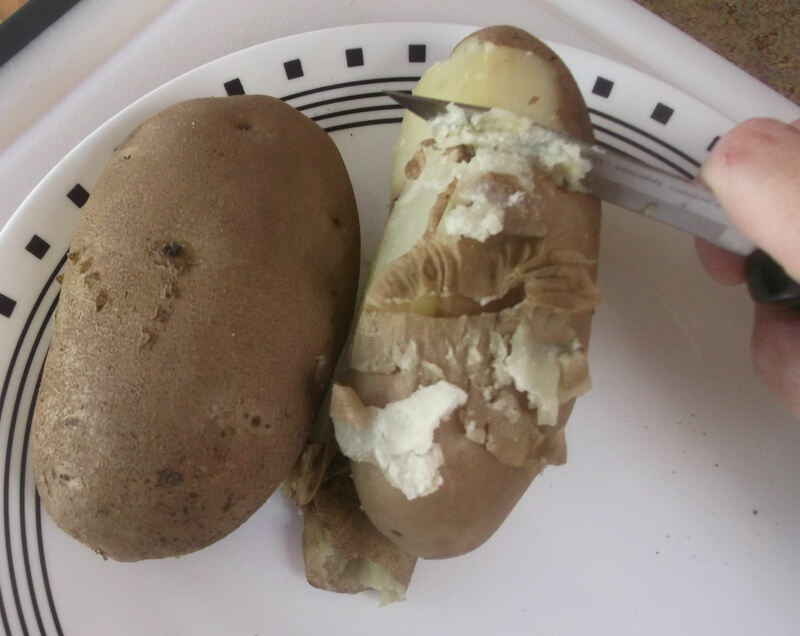 I tried taking a shortcut by peeling the potatoes first, and another time by peeling and dicing them first, and all I got was really mushy potatoes. Let them cool enough to handle, then peel by gently scraping the skins with a paring knife. The skins should just slide right off. 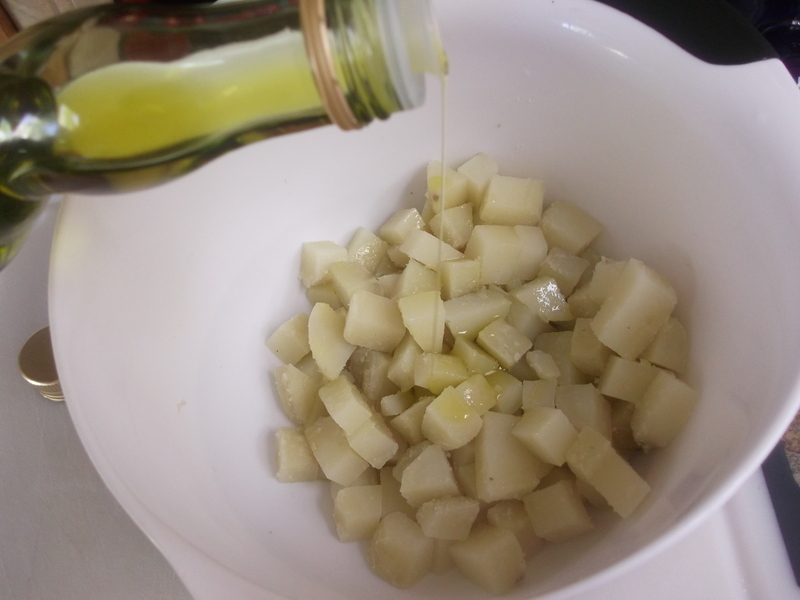 Dice the cooled potatoes into one-inch cubes, place in a medium bowl, and add the olive oil and the vinegar and/or lemon juice. Don’t get them too wet. Add the parsley and a little salt and pepper. Mix well and spoon out any remaining liquid from the bowl. Let this marinate about 15-20 minutes. 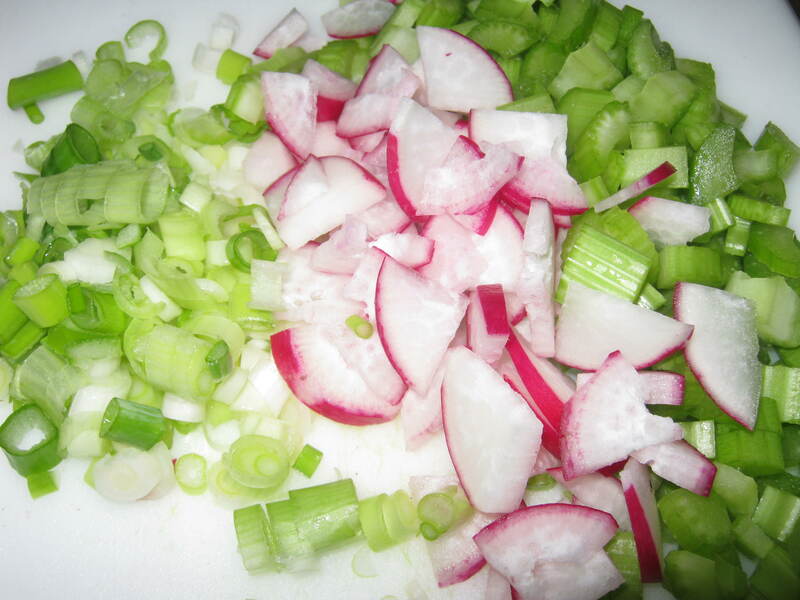 Meanwhile, chop the onions, radishes and celery. Add these to the marinated potatoes, and stir gently to combine. Mix it well, taste, and adjust the flavors as needed. Pour the dressing onto the potato mixture. Lightly toss the mixture with a spatula and let sit at least 15-20 minutes. Just before serving, stir in the diced eggs and add salt and pepper, if needed, and a sprinkle of paprika, if desired. Enjoy!